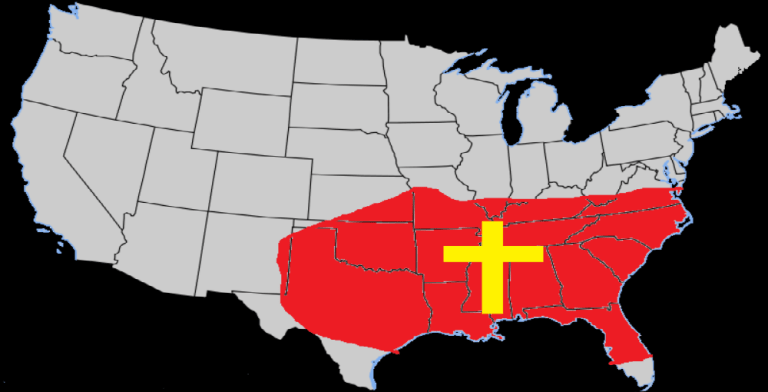 Dixie is basically synonymous with “the Bible belt”. Compared to other regions in the United States, Dixie is more God-fearing, loves the traditional family more, loves country more, loves the Bill of Rights more, and loves the Declaration of Independence more. In general, these people have a greater sense of what is important, but I digress for a moment. There are many fine people like southerners all over this country and especially in the rural areas, and these people are Dixie-like at heart; however, as regions go, Dixieland outshines them all. King George of Great Britain was determined to impose his ways on the colonies; and sadly, the heavily populated pockets in the United States are determined to impose their liberal, godless, regressive, pernicious ideology on Dixie and rural America. Let me state for the record, I WILL NEVER SUBMIT TO ANTI-CHRIST DOGMA FOR ANY REASON WHATSOEVER. My great-great-great-great-great grandfather did not die in the Revolutionary War in order to flush traditional America down the toilet. He died with many other brave souls to deliver us from the tyranny of Great Britain. There is a new form of tyranny that has risen in these United States, and it is contrary to what we hold dear in Dixie. We have repeatedly asked for a “Redress of Grievances” only to be slapped across the face with worse perversity than before. We desire to live in peace still and want to just be left alone. We want to live free from this oppression, but our patience is wearing thin.